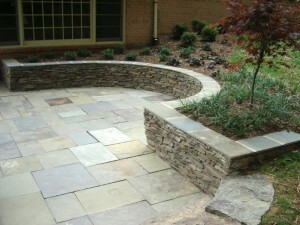 Home » Blog » Landscaping Tips » Why Do Seating Walls Work? Why Do Seating Walls Work? In the last few years, seating walls have become one of the more popular landscape elements for Northern Virginia homeowners, even out-performing the wave of popularity enjoyed by all stone work. 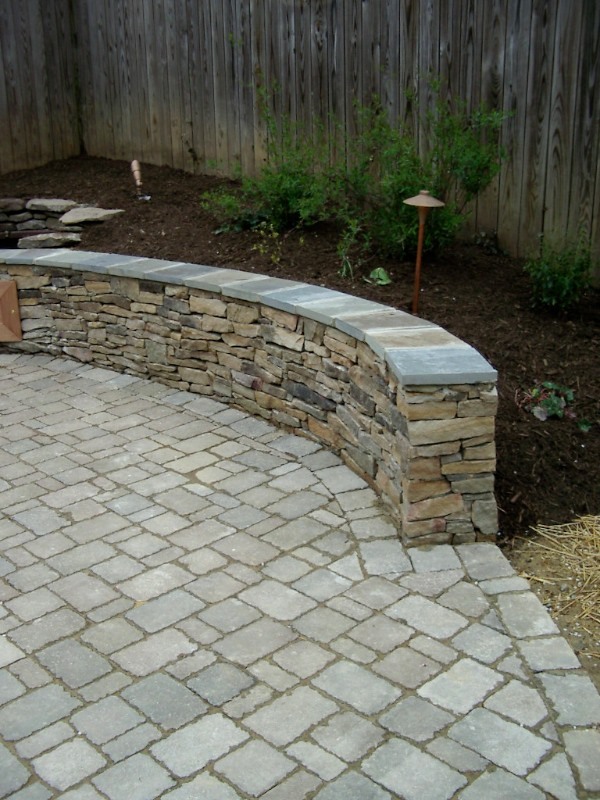 We believe sitting walls have become popular for a number of reasons. 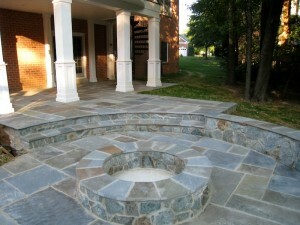 First and most obviously, they provide additional seating space in outdoor living rooms. 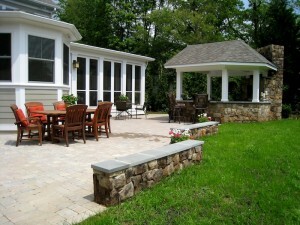 They also create a sense of coziness within a patio by distinguishing it from the rest of the backyard. While only 18 inches tall, seat walls create a significant amount of enclosure. 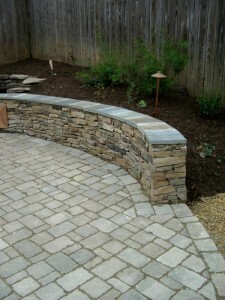 These walls also give you the ability to repeat materials found in other vertical elements of your hardscapes. 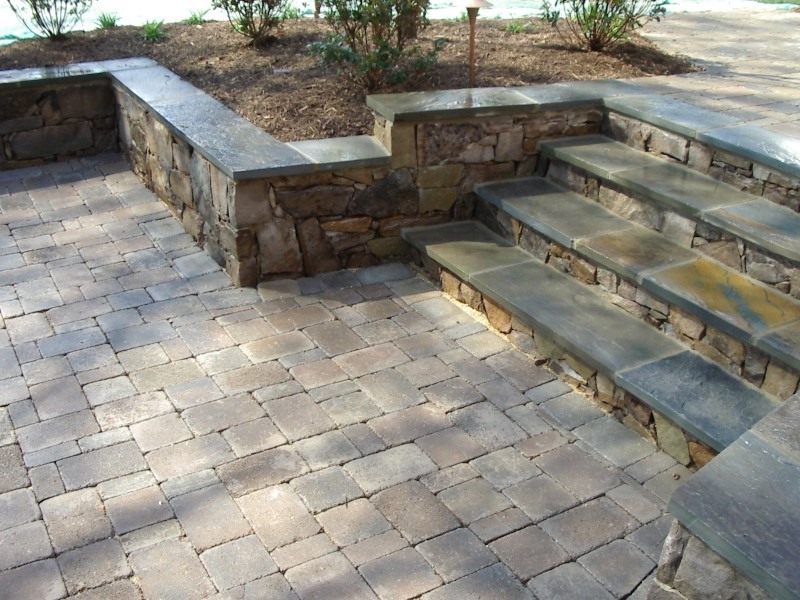 For instance, if you have a paver patio with a set of building stone and flagstone steps leading into the house, when we use the matching building stone and flagstone for the seat wall, it will act to visually unify the space. As outdoor living spaces have become more elegant, the use of sitting walls is a natural extension of this trend. 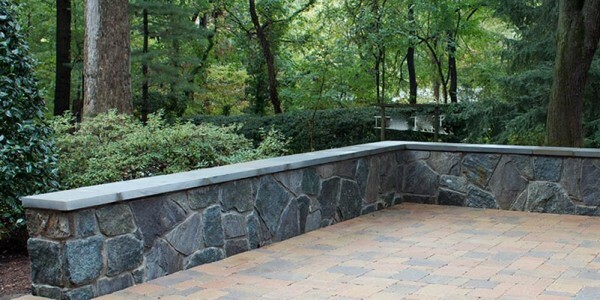 These walls tend to mirror the architecture of the house with similar geometry. Professionally designed patios and seating walls have truly become outdoor living rooms with the materials and furnishings rivaling that of the house. 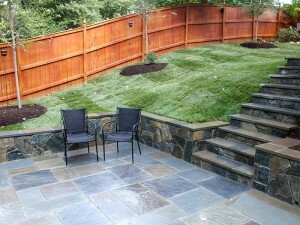 Below are some pictures of seating walls which were designed and installed by O’Grady’s Landscape in cities throughout Northern Virginia, including the City of Falls Church, Great Falls, North Arlington, McLean, and Vienna. 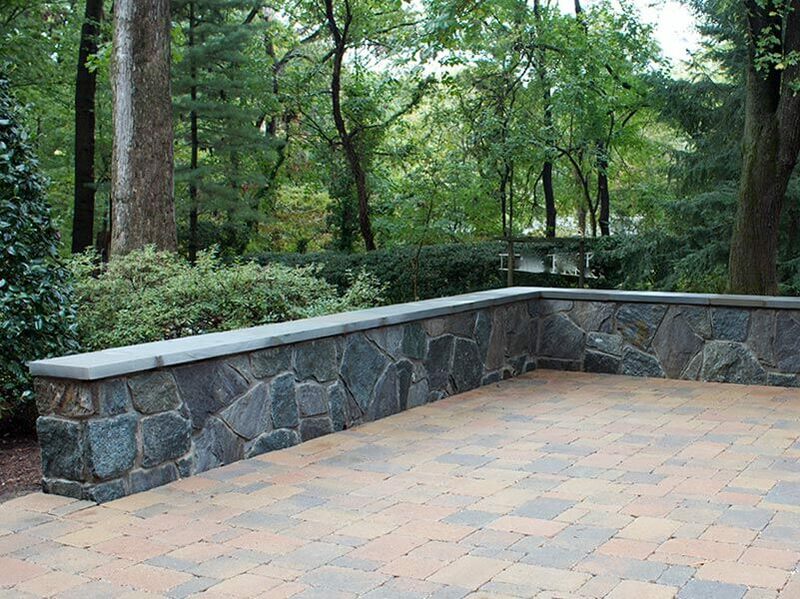 You’ll see that they can be used in a lot of different environments, each of them adding to the overall feel of the project. 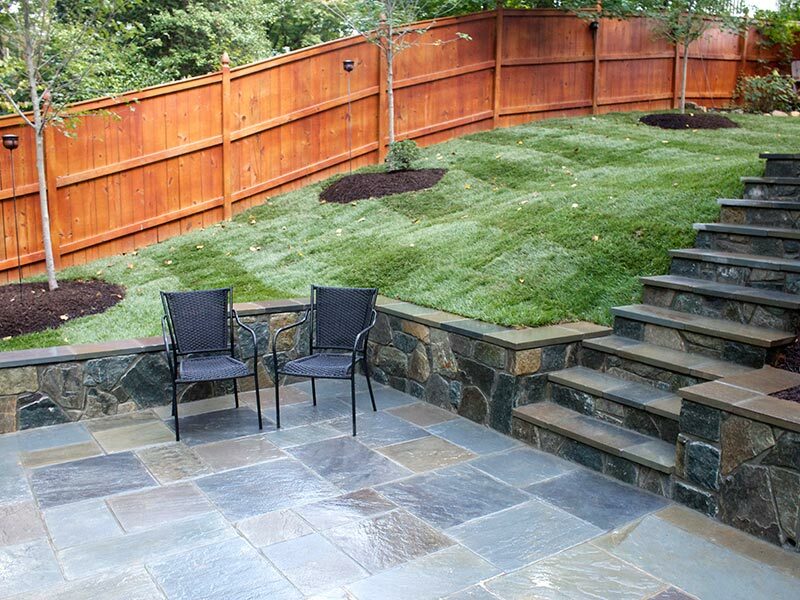 For more examples of our work or to discuss building a sitting wall in your backyard, contact us here or call 703-533-5001.